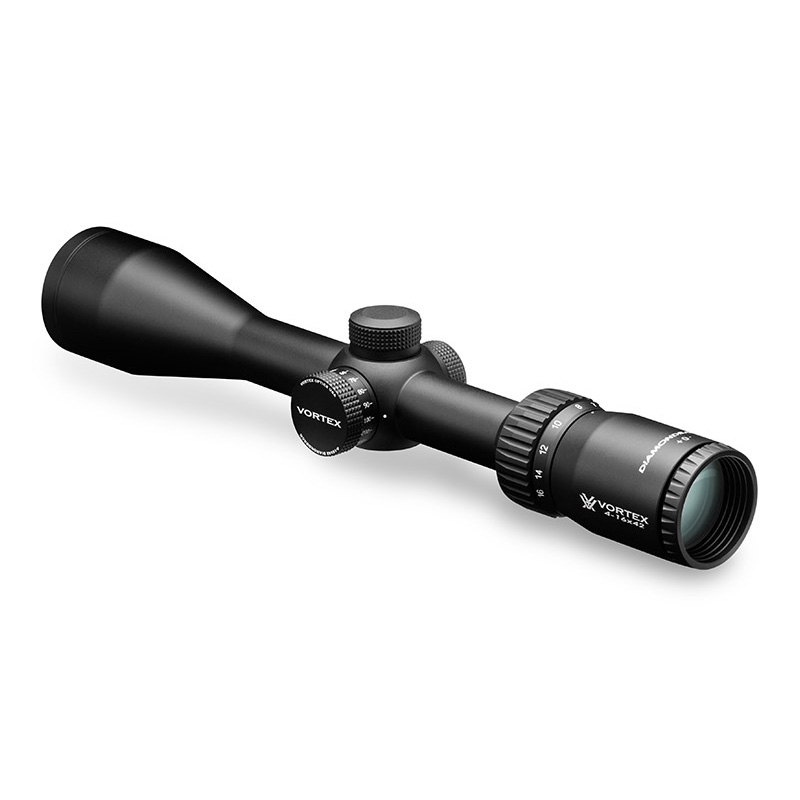 Vortex Diamondback HP 4-16x42 Rifle Scope. 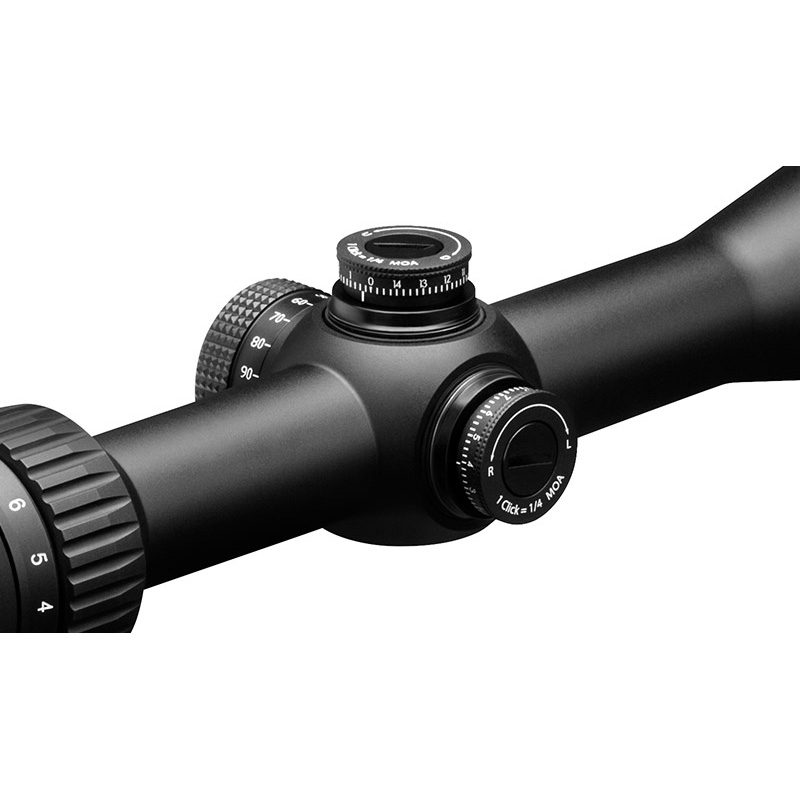 The Diamondback HP (High Performance) riflescope offers a full-on array of features that discerning hunters are sure to appreciate. Optically, these scopes hit the proverbial mark. XD extra-low dispersion glass increases resolution and colour fidelity while XR fully multi-coated lenses maximize every minute of shooting light. The side focus/parallax adjustment is easily accessible while keeping a trim profile and allowing optimal mounting height. 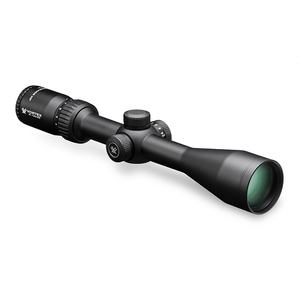 And, with a 4x zoom range, the Diamondback HP offers highly versatile magnification. The Diamondback HP (High Performance) riflescopes offer a full-on array of high-performance features that discerning hunters are sure to appreciate—game animals, not so much. Optically, these scopes hit the proverbial mark: XD extra-low dispersion glass increases resolution and colour fidelity while XR fully multi-coated lenses maximize every minute of shooting light. The side focus/parallax adjustment is easily accessible while keeping a trim profile and allowing optimal mounting height. 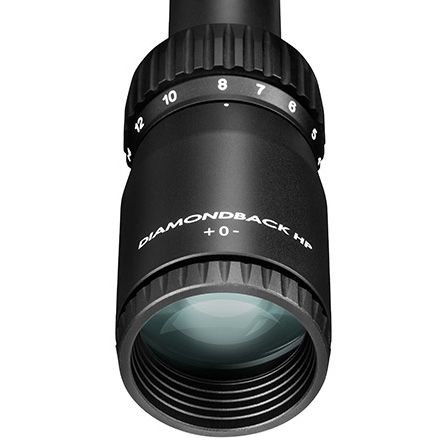 And, with a 4x zoom range, the Diamondback HPs offer highly versatile magnification configurations to suit a wide variety of firearms and shooting applications. Okay, it seems the buck does stop here.